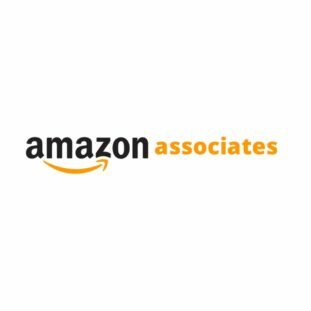 Amazon Associates is the leading affiliate program offered by e-commerce giant, Amazon.com. Joining this program creates an opportunity to earn money anytime visitors shop on Amazon through your referral link. Despite its short 24-hour affiliate cookie, commissions ranging from 0-10% are calculated for any product or service bought during their shopping spree. Adding links to Amazon products is incredibly simple and intuitive using their OneLink service. Affiliates are provided customizable tracking IDs through. The Amazon affiliate links are found on each page within the site stripe else created for generic purposes when adding offers to a blog or website. Amazon’s stellar reputation, pricing, 2-day delivery, and influential recommended products create a $1300 average, yearly spend for Prime members and $700 for non-Prime members (Statista). The Amazon affiliate program creates an intuitive, easy way to make affiliate income whether it’s including a text link in a post or developing niche-specific Amazon sites. There are numerous Amazon Associate affiliates online and you may have read one (or several) income reports detailing commissions, referrals, and earnings. You may have explored Amazon Associates tutorials and courses on building an affiliate niche site, too. What draws so many to the program? What are its drawbacks? Are Amazon Offers and Promotions Right for You? Amazon’s program is, by far, one of the easiest to integrate no matter your niche. Affiliate commissions through Amazon aren’t huge but it grows in volume and brand recognition. You’ll make money with a single sale of a qualified item or if they fill their cart since they’re there to shop. Many Amazon affiliates notice commissions from products they never intended to promote! The easy-to-use features of the program also allow automatic integration through WordPress plugins and website scripts. An Associates member can build niche sites or integrate promotions with ease. Businesses can earn by including Amazon offers through their e-commerce or professional site, too! In all, the Amazon Associates program is one of the best options when exploring affiliate marketing.